I have read about Rosehip oil. I have NEVER KNOWINGLY used this oil but I am interested in it because I have read that it helps with scars and helps promote healthy skin. You don’t have to be vain to want healthy beautiful skin. I This will not be the last post on this topic because as I learn more and meet more people who have used it I will share more information about it. Rosehip oil is cold pressed and extracted from seeds just like in the picture above from a wild rose-bush that grows in Chile. The oil is imported around the world. The rose-bush grows in cold rainy weather and is said to the beauty secret of the Chilean women. The oil gives the skin vital nutrients to promote radiant and health. It can be used to help soothe renew and help keep up skin health. .
Ok so I know you want to know how this oil can help us right? Well for those of us who suffer from any of the problems bellow it can help us! 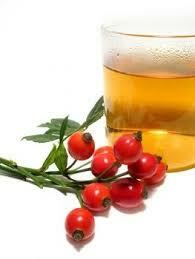 Rosehip oil is recommended for cosmetic use only.